Billed as a practical handbook for trainees and practicing teachers, it includes: classroom techniques covering all four skills; testing; problem classes; phonetics; and syllabus design. All the topics contain practice material such as exercises, activities, and discussion points, as well as reference to existing textbooks. It is aimed squarely towards new and potential teachers and although published in 1983 it contains a lot of useful, practical information. If you aren’t able to take a TEFL course but still need to teach, then this will give a good introduction; moreover if you’re thinking of taking a course and want to get a little work in beforehand, this is ideal. 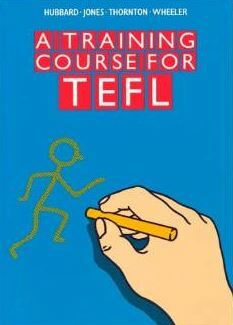 Suitable for both EFL and ESL teachers, native English speakers and non-native English speakers. It’s written in a simple, down-to-earth style although some might find it a little too theoretical in its approach. The pricing seems somewhat ridiculous. On Amazon USA it’s just under $15.00 but on the UK site it’s more than double that price. Thus it’s probably not worth buying in the UK.